Amateur artists break onto the art scene everyday. Here at Mystic Studios we are dedicated to introducing new artists to the world. Throughout the site you can view individual artist galleries and learn about the artists themselves. This site was created by one of the artists with the help of Tripod.com. We hope you enjoy the artwork and return again. On this home page, we'll introduce our artists and give some examples of the pieces they have created. All peices contained within the galleries are original and may be up for sale. If you are interested in an art piece, please email the Artist from his or her gallary. 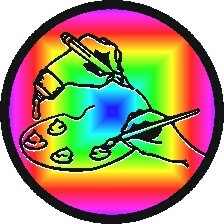 Mystic studios does not profit from the sale of Artwork within this site. and is not responsible for selling, or delivering any art pieces. If a piece is damaged or lost in shipping, Mystic Studios will not replace or refund any money. More Artists coming soon. If you have any comments on the site or would like to become a member, email me! I'd love to hear from you. Please sign our guestbook to offer comments or have questions about the artists or site.